See the GBAtemp thread for more information. Added .EMU file for No$gba 2.8f. 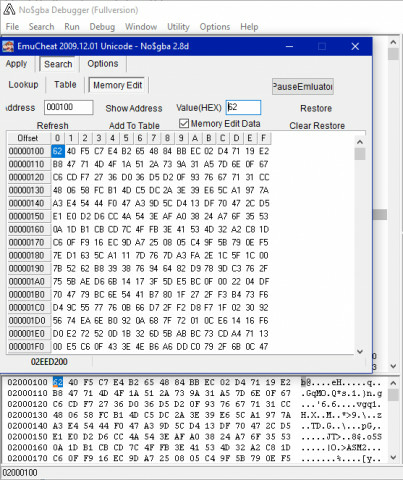 EmuCheat + .EMU file for No$gba 2.9c NEWEST!